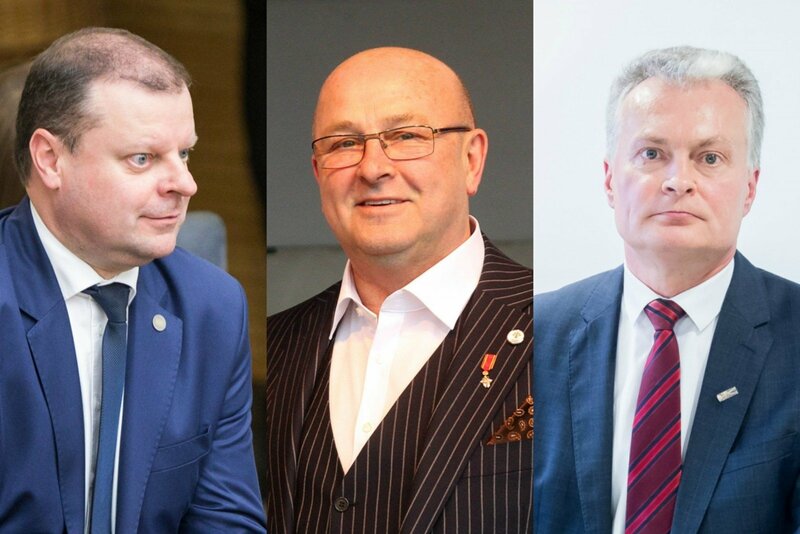 With public opinion and market research centre Vimorus inquired, who could run for president, people chiefly mentioned three names: Gitanas Nausėda, Saulius Skvernelis and Visvaldas Matijošaitis. It is specifically this trio, which has been leading in Spinter Tyrimai surveys, which were commissioned by Delfi. Sociologist Vladas Gaidys points out that election fever has begun to return to Lithuania – the presidential elections were being discussed with still two years to go until they begin. Meanwhile political scientist Raimundas Lopata observes that so far, this is all sheer speculation – none of the top three have declared their candidacy so far. Usually when public opinion surveys are taken on the presidential elections, respondents are asked to select from a list of names. This time, Vilmorus requested people to specify, who among current public figures could seek the post of president. In total, respondents suggested 47 individuals. Economist G. Nausėda took first place, he was mentioned by 20% of respondents. Prime Minister Saulius Skvernelis came in second, being suggested by 15.6% of respondents and V. Matijošaitis came in third with 15.2% of the mentions. Next up is former EU ambassador to Russia Vygaudas Ušackas (8%), MP Ingrida Šimonytė (7.1%), MEP Vilija Blinkevičiūtė (6.3%), MPs Žygimantas Pavilionis (4.4%) and Naglis Puteikis (2.2%). "The top three have settled, G. Nausėda was also first in December, while S. Skvernelis was second and V. Matijošaitis was third. Over this time, G. Nausėda grew his ratings from 14.4% to 20%. It is notable that it is these three that the media is talking about," V. Gaidys observes. Vilmorus ran a public opinion survey regarding candidates to the post of president for the third time. Identical surveys were performed in September and December. In total, 1002 respondents were interviewed by Vilmorus from 9 to 18 February. V. Gaidys quipped that he is somewhat sorry, the candidate listings have not been made yet, the individuals themselves are not yet talking about participation, the parties aren't talking about the candidates yet either. The whole discussion arises from the bottom – from the opinion surveys. The public brings up those they hear and see in the media most often. The sociologist notes that G. Nausėda has more support among educated, wealthier urban residents, the "successful Lithuania" who have no reason to emigrate tomorrow. He is most supported among the electorates of the Homeland Union – Lithuanian Christian Democrats and Liberal Movement. S. Skvernelis has more support in regional centres and rural areas, among lower income citizens, the electorate of the Lithuanian Farmer and Greens Union. Meanwhile V. Matijošaitis' electorate is difficult to specify – he has minor support among a broad number of groups. V. Gaidys explains that sometimes lacking a clear feature can become a negative factor, however such candidates can do better in, for example, the second round of elections. Nevertheless, the sociologist observes that in this case there is no confrontation, while in previous elections, the candidates would often be as if antipodes as in the case of Algirdas Brazauskas against Vytautas Landsbergis. V. Gaidys states that potential candidates who are outside the top three should make themselves known about now, establish themselves, seek more recognition and that people would start thinking of them as candidates to president. What could hamper G. Nausėda, who is currently first? "He is first for now, it would truly appear he has it all – he is educated, moderate, knows how to appeal to the people, perhaps the others understand the common people better, however he is not conceited, thus he has the skillset which would allow him to represent the people of Lithuania. NO conflictual situations are linked to him so far, unless journalists dig up something later on. So far the only negative is that he is from the banking system," the sociologist spoke regarding G. Nausėda. At the same time he observes that currently the ratings held by the banking sector aren't bad and the black period when two banks went bankrupt and confidence in the banking system fell is now in the past. Furthermore, all the banks' advisors are recognised, invited by journalists to shows. V. Gaidys is left with the impression that in the coming elections there will be fewer protest votes than before. I 2002 there were 17 candidates for the post of president and humourist Vytautas Šerėnas took fourth place, surpassing numerous famous politicians. It was a clear effort to ridicule the political elite. The sociologist points out that it is just an opinion survey. However, the candidates will need party backing and Conservative support will be needed by both G. Nausėda and I. Šimonytė, as well as V. Ušackas and Ž. Pavilionis. Most likely only one of them will actually receive this support. The sociologist observes that talks about the coming presidential elections started two years prior to the elections themselves. Sociologists, who organise the surveys, reacted to this and this has probably not happened since 2002. "After a long pause, interest in the elections is high once more and it is great that the political fever has reached Lithuania once more. It is also good that there is no major antagonism, throwing dirt," V. Gaidys spoke. "As we see, all three top candidates are not members of any party. It is clear that the Lithuanian people want to see a non-partisan candidate in the post of president once again. 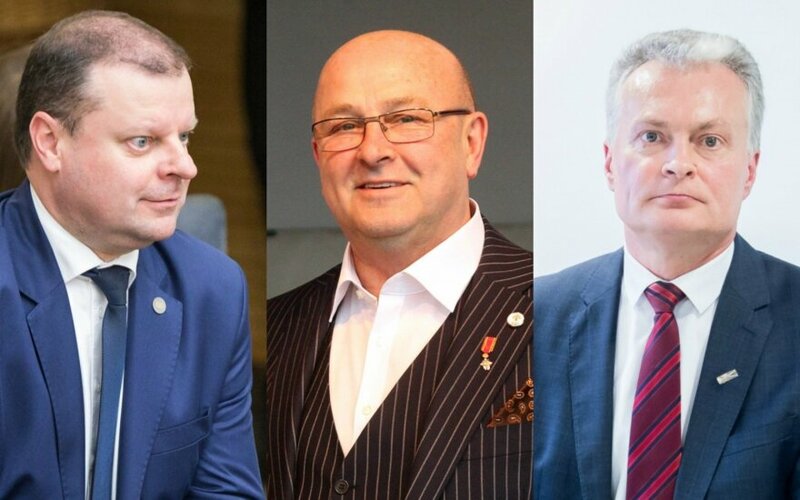 Which of the three will be the best variant will become apparent from which of them runs for the office because I am not certain that all three will become actual candidates," strategic communication consultant Orijana Mašalė said. According to her, over a number of years G. Nausėda created a reputation of being an economics expert, he is viewed as a moderate individual, who has a decent sense of humour. It is natural that this draws people, particularly those who have had enough of representatives of political parties. Meanwhile S.Skvernelis, she says, has the image of a decisive politician, which is often seen from his rhetoric. As various opinion polls show, the people want a leader who would step forward and resolve the various problems the country has. "V. Matijošaitis is of a similar type, showing through his actions that he can take care of Kaunas. He declares that he is less of a politician, but more of a farmer, an individual, who resolves the problems of the city and its residents, which also impresses people," the public relations specialist said. As such, she says, the names being mentioned should come as no surprise – each candidate has major strengths. O. Mašalė also points out that all three top candidates are already famous, they have no reason to rush announcing their candidacies. "Meanwhile those who intend to run for the office and are less recognised, I would say would not just benefit from announcing their candidacies earlier, but even have to, so that their names would also enter public discourse for as long as possible," she explained. At the same time R. Lopata dismisses the matter, stating, "None of them have announced they are running for president, so how are we supposed to discuss the chances of those who have yet to declare," R. Lopata said. According to R. Lopata, all the discussions about potential candidates are mere speculation. "In other words, we are now selecting an individual, who perhaps does not even want to be, you could say. (...) Surveys show that they all may have a chance, the percentages mean nothing," R. Lopata spoke. According to the political scientist, nowadays it matters not, when candidacy is declared. "Nowadays, campaigning methods are such that it does not matter when you declare. Imagine, the electoral campaign began, do you think that those who have yet to declare are not setting up? It does not appear very important to me, particularly in the society we now live in," he said. However, R. Lopata does not believe that the electoral campaign began earlier this time. "For example Valdas Adamkus had not yet had his second term as president and there was already talks of who would replace him, the candidacy of D. Grybauskaitė was mentioned," the political scientist remembered. The presidential elections are to be held on May 2019. Based on the newest survey commissioned by Delfi from the public opinion and market research company Spinter Tyrimai, performed on December 11-19, G. Nausėda would receive support from 15.6% of respondents. Second and third place were taken by S. Skvernelis and V. Matijošaitis (11.3% and 10.9% respectively). After them follows social democrat V. Blinkevičiūtė with 7.7% support and MP N. Puteikis with 5.5% support.